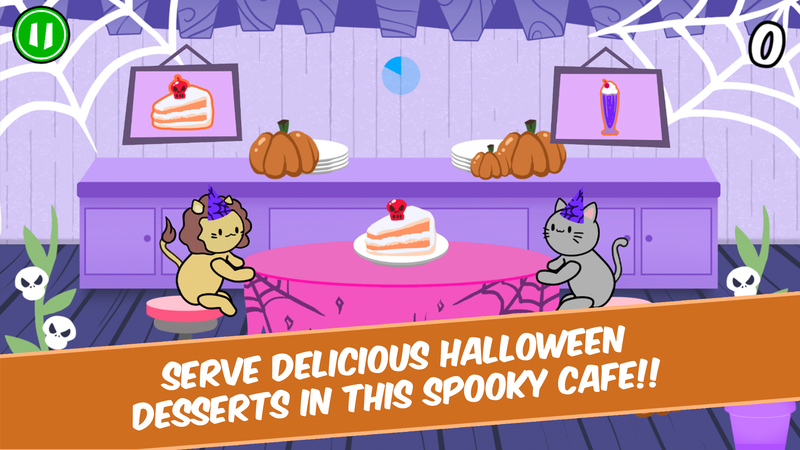 SERVE DELICIOUS DESSERTS IN THE ANIMAL CAFÉ! Hello everyone! And welcome to Bunny Pancake Café! 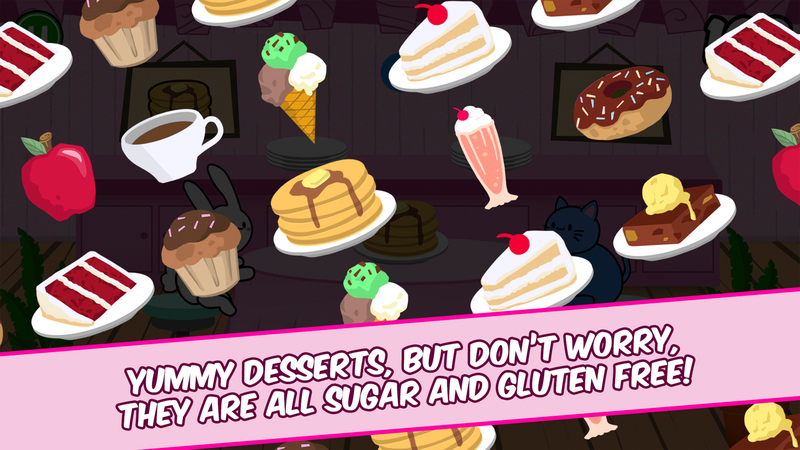 Bunny Pancake Café is a very simple yet challenging game. We’ve created six characters, so you can play the game with multiple animals. 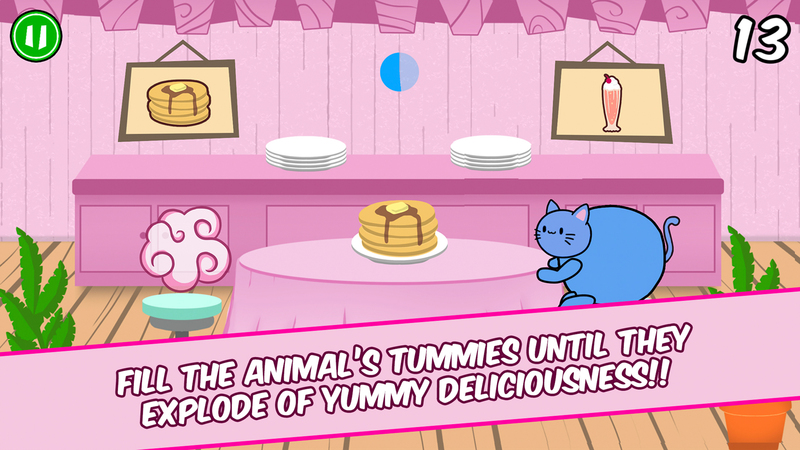 There are also many kinds of different desserts, so you must be aware of which food does each animal prefer. 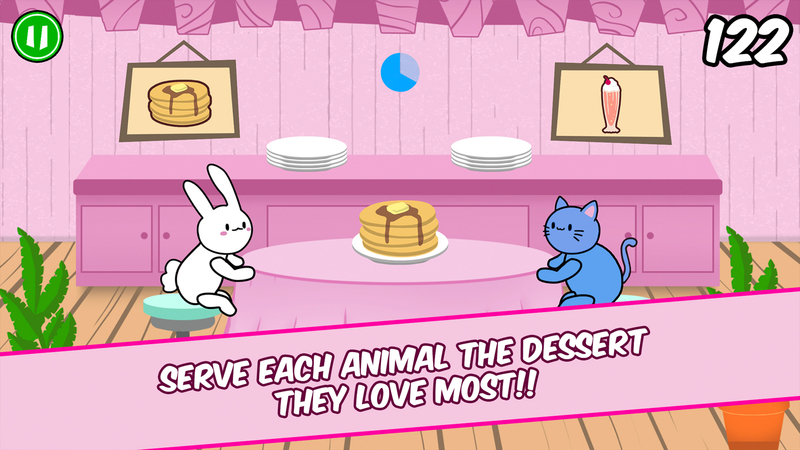 This game, Bunny Pancake Café, is very simple to play: move your finger left/right to serve the correct food to your animals. Discard the food they don’t like by moving your finger up/down. Grab power ups to boost your gameplay! Make the highest score so you can be in world’s top 3! !